Reconciliation begins in the hearts and minds of those who suffer the shock of conflict [victims and perpetrators] and want to change the situation so that there is no return to conflict. Today, reconciliation seems to be on the lips of every Liberian; we have spoken for so long about this subject, but it continues to elude us. Over the last decade our country has been preoccupied with reconstruction and not consolidating the peace through reconciliation. It is all the more important to prioritize reconstruction after a violent conflict like the one we had in Liberia, but unless we intentionally make reconciliation an integral part of the reconstruction package, we risk a relapse into conflict that will eventually destroy the reconstruction gains. 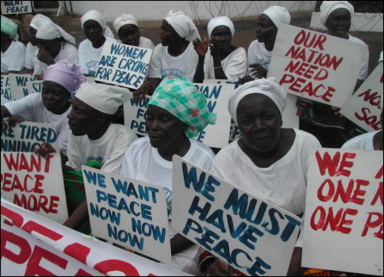 Reconstruction must go hand-in-hand with reconciliation if we must consolidate the peace. I accept the argument that “reconciliation is everybody’s business,” but “The important decisions of our time are political,” says John Swomley in his book, the Politics of Liberation. It is these decisions taken by government that determine whether there will be peace and reconciliation, there will be justice or injustice. When there is poverty, the outbreak of diseases, corruption, or conflict, and governments take actions that results into additional suffering for the population, there is no medication except political decisions. It is the same government, not individual citizens or groups, which must remedy the pervasive discontent among the population about jobs, about shelter, about safe drinking water, about food, and about fundamental rights and security. Reconciliation is widely understood to be “a process, not an event.” This phrase seems to be the defense of those who easily squander the opportunity to reconcile with somebody or with a people. We probably need to re-examine our understanding of reconciliation. There is no denying that reconciliation entails ‘a process,’ but every time we short-circuit a process, you most often than not start all over again. Like a patient who is under dosed or who refuses to complete his/her medication, you give reason for the disease to develop resistance to the drug. This is how we have been treating the issue of reconciliation in Liberia for as long as we have spoken about it. The prescriptions seem not to work anymore. I remembered after the 1997 election of Mr. Charles Taylor, organized the National Reconciliation Commission and named one of his friends, Victoria Reffell as head and one of his opponents, Alhaji Kromah, among others, as members. Mr. Kromah is thought to have rejected the appointment. That process was soon disrupted with another round of war. The biggest political decision perhaps aimed at solving the reconciliation problem from the foundation of our country was the one put together and declared by warring factions, political and civil leaders in Accra, Ghana. As part of the Comprehensive Peace Agreement that ended the war in our country, the major players opted for a “Truth and Reconciliation” process. Excellent! For more than two years, we saw the hearings unfold, even though most of those who appeared were accused of not telling the “whole” truth, while others made mockery of the exercise; important still, there were noncommittal including the President Sirleaf, whose appearance had to be literally negotiated. I was one of those who thought that the President should have been the first or at least among the first set of people to testify before the Commission to set the tone of the process But a debate ensured that the President should not appear at all on one hand, while others wanted her to appear but not in public. At the end, she appeared in secret. What is important to note here now is that the President finally showed up, but the result of the TRC hearings effectively became the source of another conflict that needs to be harmonized. We missed that opportunity. For some obvious reasons, we live with the attitude and illusion that this “process of reconciliation” should start and end without apportioning responsibility.` Some of us also believe that those in ‘power or authority’ should not get affected by the outcome of the reconciliation process. I disagree. Governments are the prime beneficiary of a reconciled people. The country is stable for the government to lead when there is reconciliation, the opposite is destabilization. So reconciliation – and I mean national reconciliation—should be initiated and driven by our government. Reconciling the nation can never be possible if the government dedicates this responsibility to individual citizens. You see, not even the one driven by Nobel laureate, Leymah Gbowee could make the difference. And we are all witnesses to how that, too, ended with another kind of conflict left behind. I am talking about a conflict between our two respected laureates. Maybe the Nobel committee will have to be called in to help us reconcile that one. 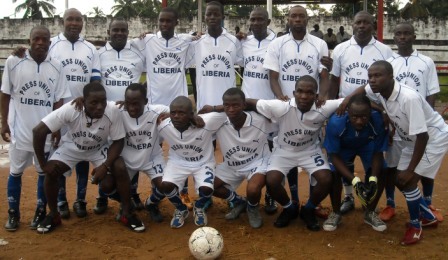 Do I need to mention the George Weah reconciliation initiative? Already, we have seen it crash-land, just after takeoff. The serious criticisms and condemnations that attended his appointment and the inaugural activity is sufficient reason to suggest that this one has already suffered another setback. Even an official of the Ministry of Finance [Dr. James Kollie]who should disburse the $5 Million allotted in the national budget for reconciliation, has expressed what is thought to be his disappointment with Mr. Weah’s approach of showcasing footballers. You see, George Weah and the national team always brought Liberians together from every side of the conflict, but the games did not end the war unfortunately. So football has never been a solution. We probably need to give Mr. Weah the benefit of the doubt as the President argued, but I suggest to you that we have had too much try-and-error with this issue of reconciliation; the government needs to act decisively before we are caught with our pants down. I respect Mr. Weah for the statesmanship he has exhibited thus far, but I am convinced that he is not properly situated [as an interested political player] to lead this process. National reconciliation is a national agenda and must be packaged and driven by the government of the day. With all the state structures and resources at its disposal, this government has what it takes to mobilize its citizens to reconcile and should not run away from this critical national emergency. The Government of Madam Sirleaf was right when it identified marginalization as one of the causes of the Liberian conflict. If the government still believes in that diagnoses, then it has to act intentionally in addressing the inequalities, however minimal those actions maybe. I suggest to you that instead of budgeting $5M for reconciliation funfair, make reconciliation the theme for our entire national budget and policy decisions. A lot of our citizens feel abused, cheated, oppressed, used, hungry and deprived. It is the responsibility of government to reduce their anxieties and fear for their survival. The government must therefore act reconciliatory and stop talking reconciliation. Ten years after a nasty conflict of wealth and power, our government must act to address the extravagance of public officials in the face of poverty; we must act quickly to deal with the structural inequalities and corruption in our constitution and our laws; we must deal with the problem of resource and power distribution; our government must position itself to deal with the defects of our judicial and justice systems; our government must re-examine its land policy to respond to the growing tension over land ownership. How logical is it that one family can own more than 100 acres of land? These are some of the issues that form the basis of the recurring conflicts we have had in our country and no institution or individual can reconcile them except the government in power. To dedicate this responsibility is to live in denial of these truths. Government and in fact, all political power is based on the ability to influence the behavior of people or, in other words, to accomplish an agenda. We must therefore stop making the mistake of leaving these vexing issues to chance. They could explode again.